The Assemblies of God Eastern Reef Regional Centre Project (ERRCP) is the brain child of the Eastern Reef regional stakeholders, being the Gauteng District Council, Mothers, Men, Sisters, Youth and Sunday School. Over the past few years it has been noted that due to the ever-increasing number of church members across all segments or structures, being Mothers, Men, Sisters, Youth and Sunday School, the current local church buildings within the region are no longer adequately capacitated to accommodate regional meetings and activities of the aforesaid segments or structures. The ripple effect of this situation has been the hiring of facilities for some of the church activities, more particularly in respect of the youth work, resulting in substantial funds being expended on these exercises as opposed to the primary objective of the concerned structure. Given this challenge, it has become necessary for all the segments of the Region to consider embarking on an initiative to construct and establish a state of the art modern structure or facility that will adequately address the identified challenge within the next few years. The Gauteng District Council (GDC) mandated the District Council Committee (DCC) to facilitate a forum for all the affected stakeholders to consolidate their financial resources with a mission of establishing a Regional Centre Facility. While the essence or the core object is the establishment of the Regional Centre facility, it is of paramount importance that such facility should, in the long run, be self-sustainable. It is therefore envisaged that the Regional Centre should be self sufficient and be poised to grow to become a source of revenue for other regional activities. The Eastern Reef Assemblies of God seeks to construct a state of the art modern structure that will address the indentified challenge of the lack of suitable facilities to cater for the needs of the ever-growing constituency. Quite obviously, a project of this magnitude can only be accomplished with the help of suitably qualified service providers. 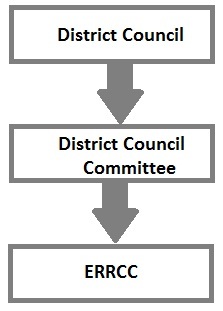 In addition to the above broad terms, the ERRCC will also be required to provide and formulate proposals on any other relevant matters (e.g. short to medium term funding models and interventions) that may be deemed necessary to ensure the timeous fulfillment of the ultimate goal of having the most suitable Regional Centre to cater for all our needs in this age and era. 3.3 Facilitating the costing of envisaged structure based on the rough sketch, (including but not limited to approval of the plan, earthworks, building construction, finishes, etc.). 3.4 Ensuring that the Regional Centre is self-sufficient and further becomes a source of economical viability of the Region. The Regional Centre is planned to be completed by December 2015. 5.3 Timeous response by all key stakeholders to address any bottlenecks and hurdles and signing off of deliverables.